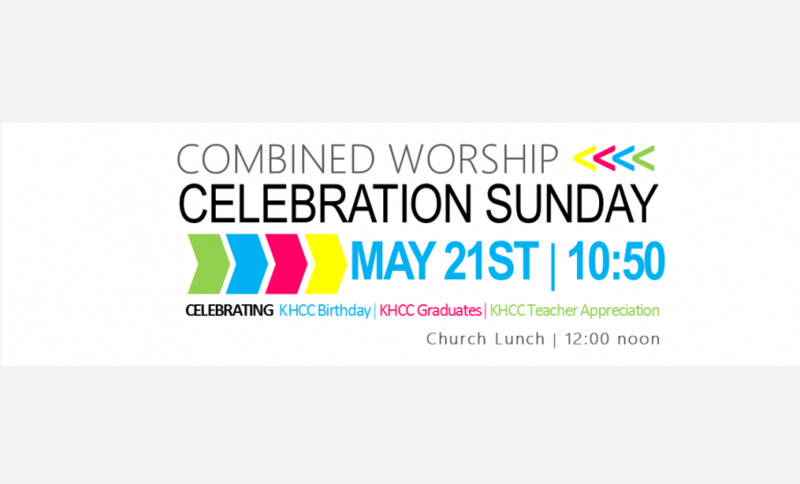 Join us for Celebration Sunday on May 21st as we celebrate KHCC 94th Birthday! This will be a Combined Worship at 10:50 am, all three services together. We will also celebrate our 2017 Senior Graduates and Teacher Appreciation. Join us in the Family Life Center immediately following the service for a Celebration Lunch & Birthday Cake!